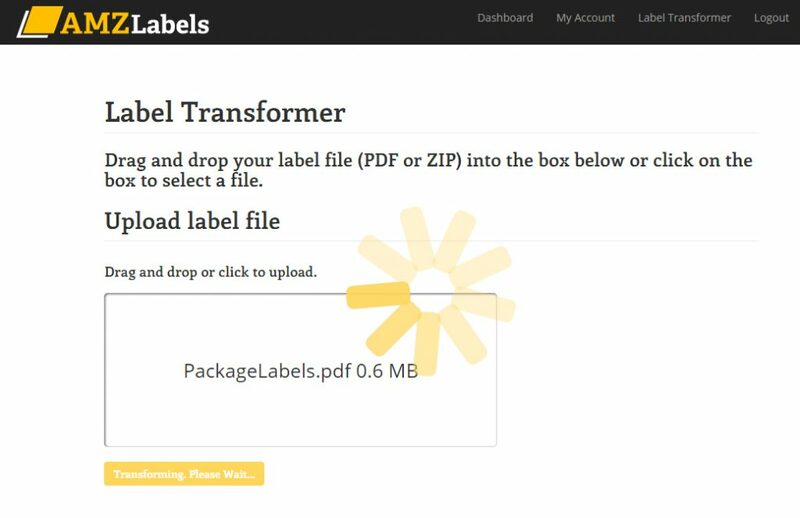 Our Amazon label service allows you to quickly and efficiently print accurate, printer-friendly labels for your FBA shipments! Our service is offered in the cloud, meaning you can access it with any browser, from any computer – no restrictions and no software to download. 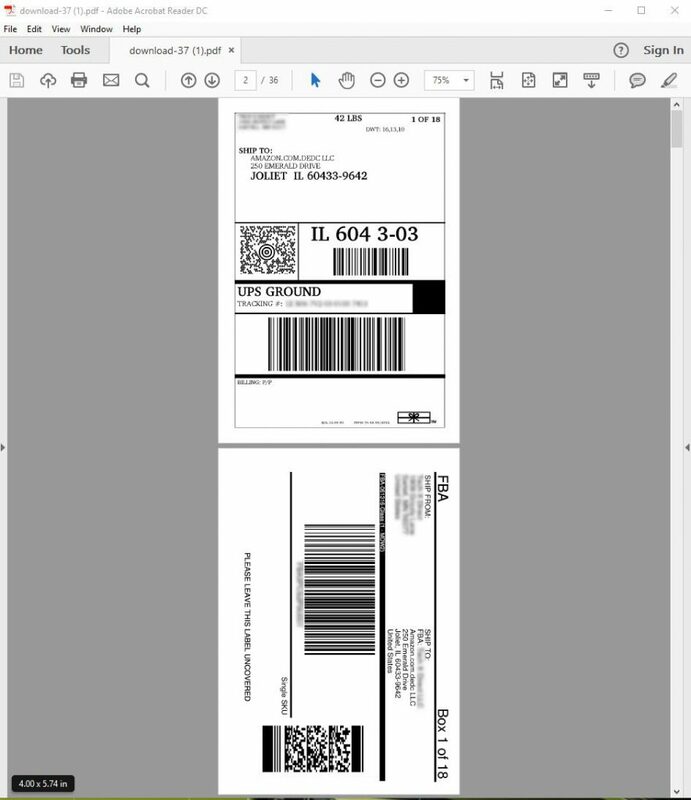 Below, find five easy, quick steps to create ready-to-ship FBA labels for Amazon and UPS shipments, as well as FNSKU barcode labels. Still have questions? Check out our handy FAQ! 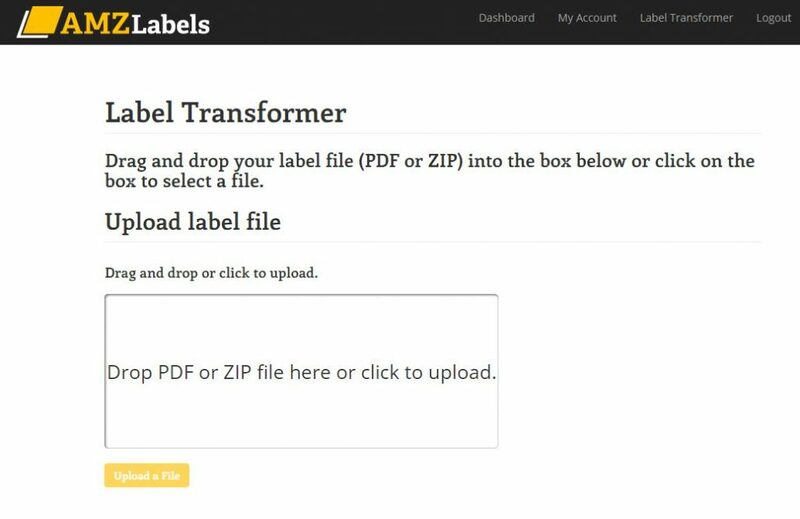 After signing in – from any browser or computer – you’ll be taken to the Amazon label service transformer page. 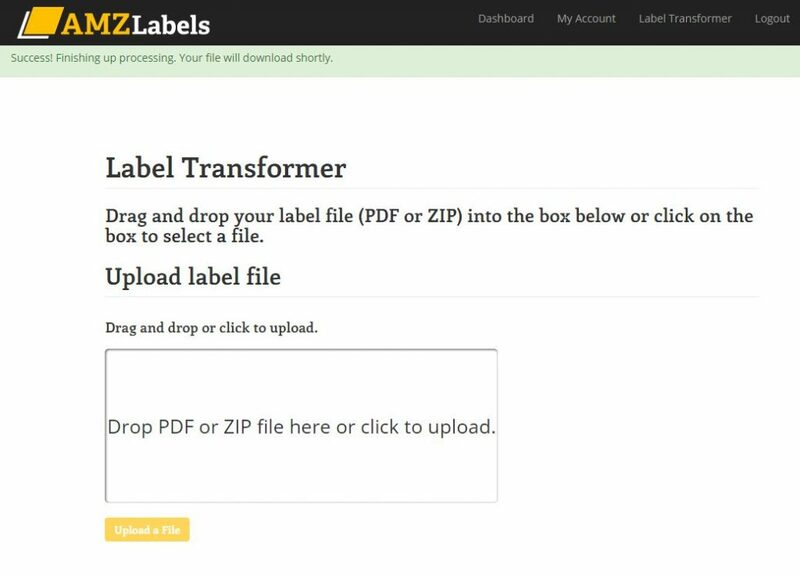 Here, upload your Amazon label file by dragging and dropping the file or clicking to find a file through the file explorer. Then, click the “Upload a File” button. Once you upload your file, it will briefly say “Preparing File”. 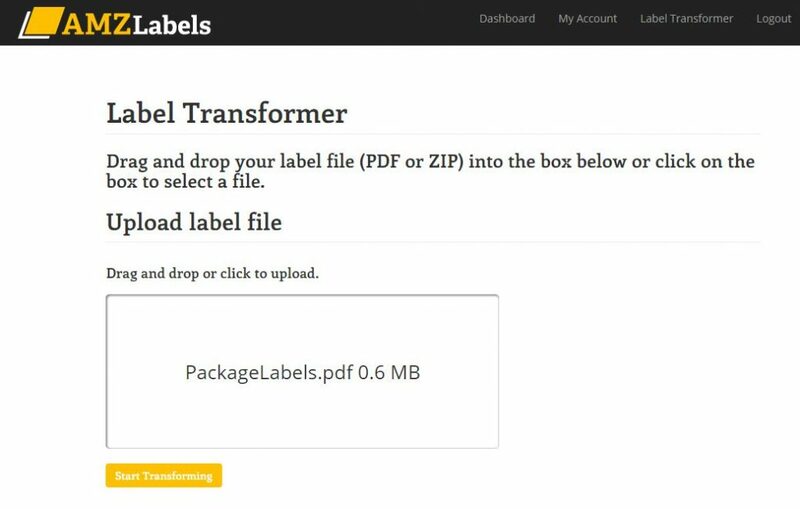 Then the below screen will appear showing your file name and size in the screen, along with the “Start Transforming” button at the bottom. Click the “Start Transforming” button. The transformation process may take from a few seconds to a couple minutes. the new file may be found in your “Downloads” folder. Open the file in your favorite (or default) PDF viewer and print! Depending on your printer you may want to select “fit to screen” to perfectly center the label. For best Amazon label service results, print on a thermal printer on label paper, to save yourself the cost of ink and labor of cutting and taping.